Thank you everyone for entering!!! 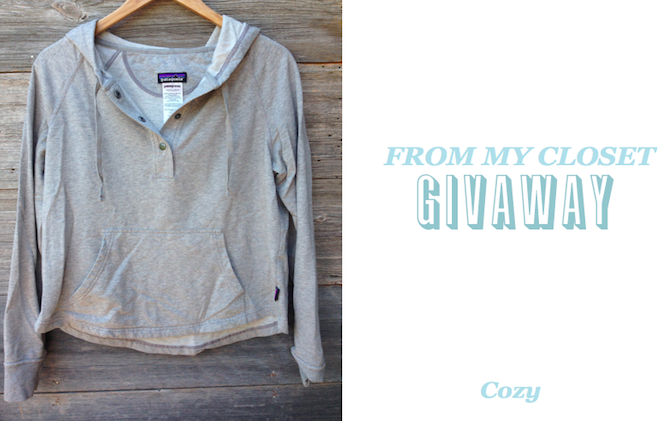 This week I’m giving away some cozy finds. This Patagonia pullover is made from organic cotton and is Fair Trade certified. It’s great to thrown on when heading to yoga, going for a walk, or any at home comfy time! Faux Mocs makes this fun graphic tee. Bear wore one for at least a year! We love this shirt. Monrow makes the sweatpants, they will fit a size medium. These are all so cozy! In order to enter this giveaway, leave a comment below telling me how you find comfort. I will announce the winner on Friday 1/20. Previous PostWhat's the deal with wool?